There’s a multitude of ace things you can gift to your favourite tot, but lovingly handing over something specially created, something with said baby’s very own name on it, totally takes the cake. Why go for generic when you can delight with something truly bespoke? Not only is there something super-satisfying about seeing a baby’s name (or initial) up in lights, their things will never get mixed up with the other babies things, because clearly labelled, people! 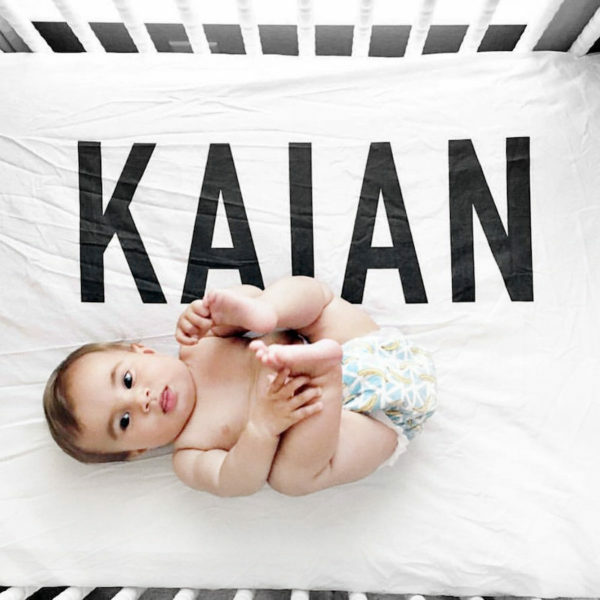 This is not only adorable, it’s very helpful for that forgetful great aunty who keeps calling your child ‘Ian’ instead of ‘Liam’. 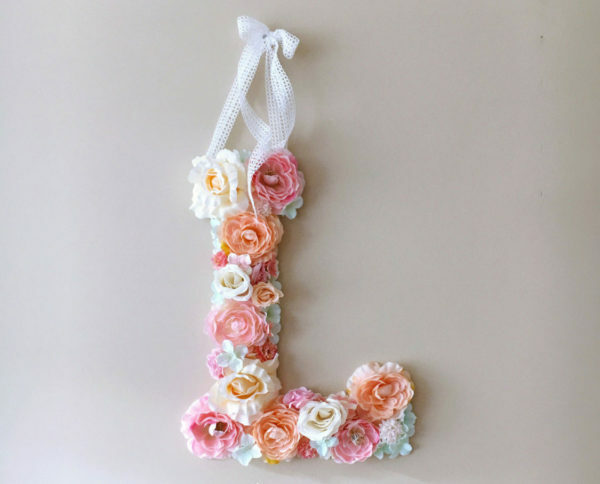 This swoon-worthy floral initial is a perfect fit for the nursery door of your favourite tiny girl. 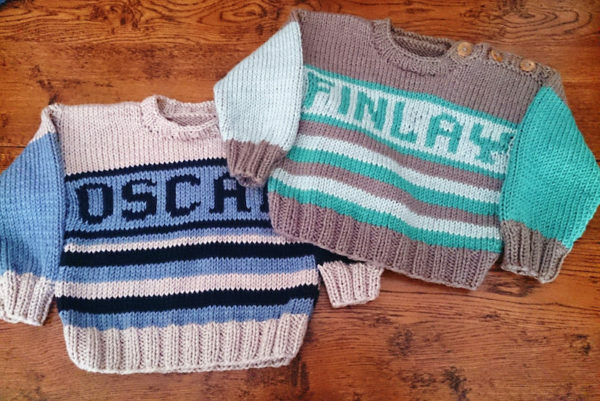 These are so gorgeous, even your most knitty Nanna would have to agree they’re a baby must-have. 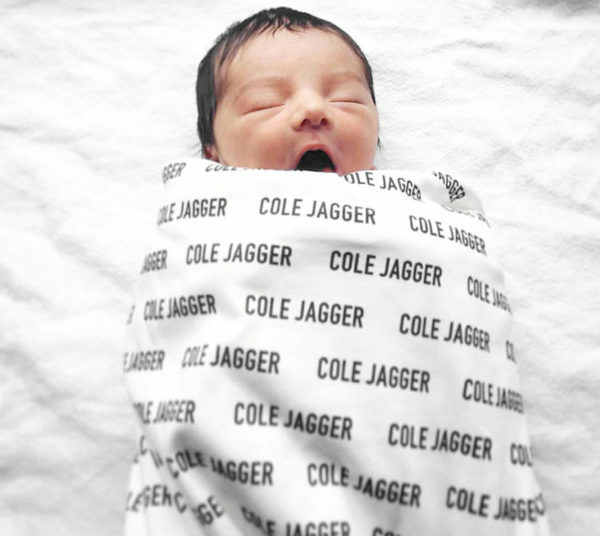 These snug sheets make a bold statement and ensure that even in the dead of night, you won’t call your baby by its siblings’ name. 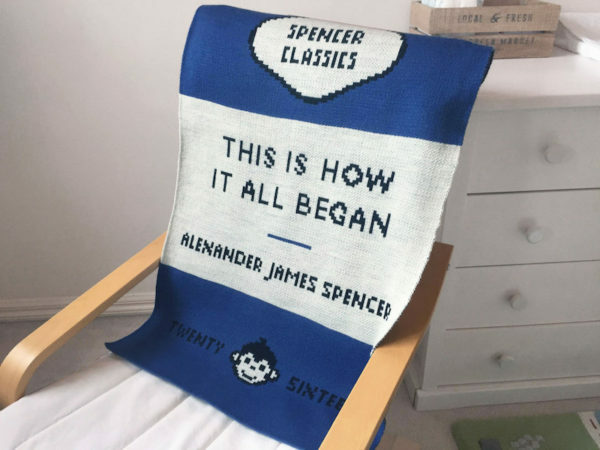 This gorgeous blanket is based on the classic Penguin titles, but has a much more personal, delightful touch. 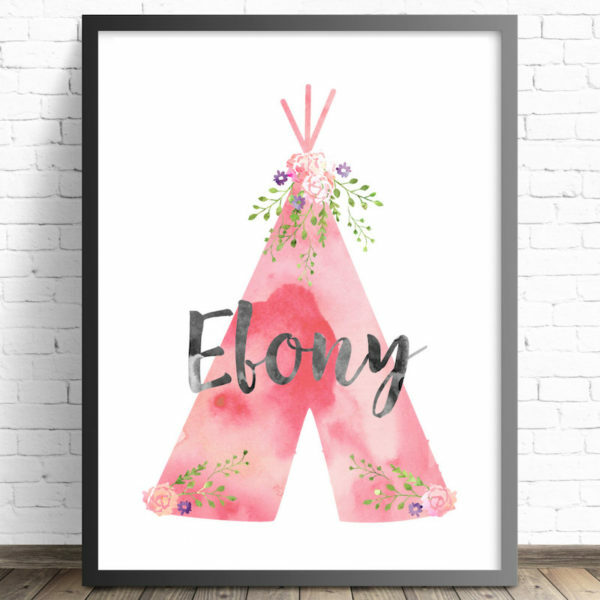 While we totally recommend the usual Peter Rabbit or Bunnykins type nursery art, we’d like to point out that there’s a bunch of gorgeous contemporary nursery art over on Etsy. It’s just waiting for you to gasp with delight and hit ‘add to cart’! 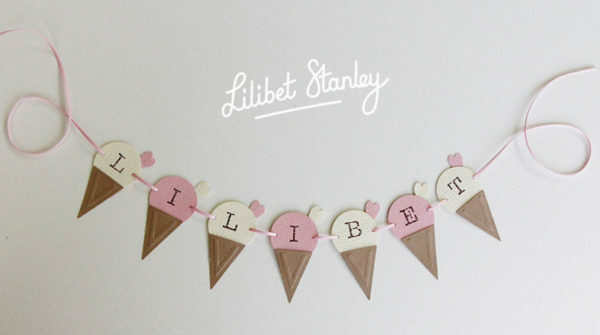 There is nothing better than cute bunting, unless it’s cute ice-cream themed bunting! This sweetly strung decoration is the perfect personalised addition to your favourite nursery wall. Let’s face it, some people are total geniuses when it comes to a needle and thread. Like Carla from Felt Cute Mobile. 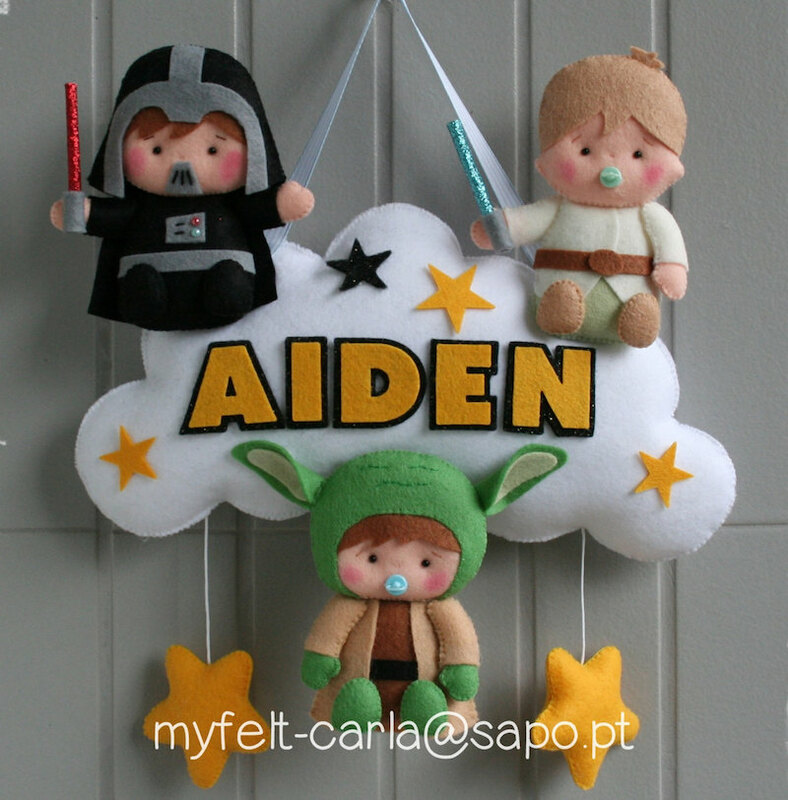 This baby Star Wars name banner is just the tip of the iceberg when it comes to her genius, crafty ways. Now the only problem is working out which thing to bespoke your favourite baby with!